When you have no time to waste, and who does these days, every minute counts. At Wildewood Dentistry we value your time, and if a new technology will help us to give you faster and better quality care, then we are all for it. CEREC is one of those technologies. Read on to learn about how CEREC single-visit crowns technology works and how it benefits you. Intimidated by technology? We have an infographic for that! Sometimes we get intimidated by new technology. The old adage “A picture is worth a thousand words” can often be true when it comes to explaining something that seems complicated. We’ve prepared an infographic that takes the mystery out of the CEREC process. It walks you through the process step-by-step and outlines the many benefits you’ll enjoy. As you can see, because CEREC uses digital impressions and mills the restoration right here in our office, our patients enjoy many benefits. We think this technology is fabulous and we think you will too. 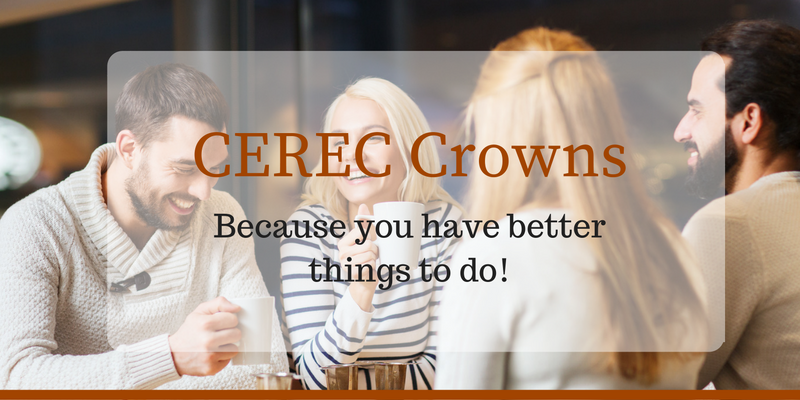 Are you interested in a crown made with CEREC technology? Call our office at (803) 788-0099 or contact us online and we will be happy to talk with you about it.